The five largest banks in Switzerland are in talks with financial infrastructure operator SIX and retail giants Coop and Migros over the launch of a common solution for mobile payments “across all channels” that can be “rapidly spread” across the country. 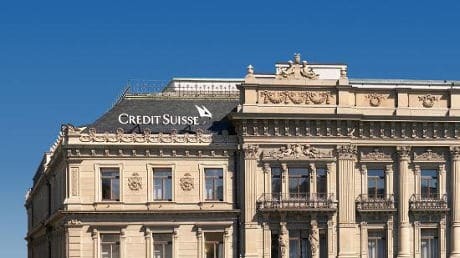 The Credit Suisse, PostFinance, Raiffeisen, UBS and ZKB banks will work with SIX and the participating retailers to develop a joint platform that could be used by all customers as well as “other market participants”. The agreement follows SIX’s launch in March 2016 of the Paymit mobile payment service, which lets shoppers in the country make in-store mobile payments by scanning a QR code at the point of sale. PostFinance also launched its own QR code based mobile payment solution called Twint in 2015, enabling consumers to make mobile payments to merchants who have downloaded the Twint merchant app. “The recently launched mobile payment solutions from PostFinance and SIX are of great interest among the consumers, the trade and the banks encountered,” the companies say. Details of what technology will be used to power the common mobile payment service have not been disclosed. More details are due to be released in May. In Switzerland, the banking cartel is/will be desperately trying to hinder new entrants like Apple Pay. I might note, that Migros, Coop, and many others (on various pmnt systems including sixt) will accept Apple Pay via cards issued by Apple Pay participating foreign banks.